We’d love your help. 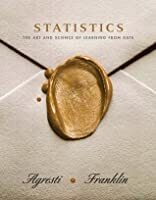 Let us know what’s wrong with this preview of Statistics by Alan Agresti. To ask other readers questions about Statistics, please sign up. This was the required textbook for STAT 200 at Penn State. It was a good companion to the online lessons and I turned to it frequently for examples and alternate or better explanations of the concepts that were introduced in the instructor's online lessons. I felt it explained things clearly and in a way that helped see how all of the different tests fit together. I liked that it used examples extensively to illustrate problems and help you think them through. 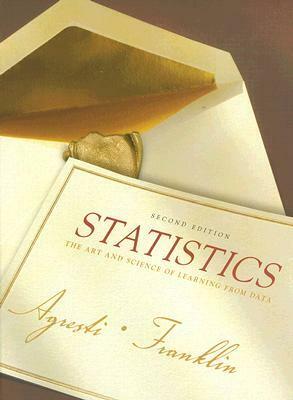 I'm going to keep this book for fut This was the required textbook for STAT 200 at Penn State. It was a good companion to the online lessons and I turned to it frequently for examples and alternate or better explanations of the concepts that were introduced in the instructor's online lessons. I felt it explained things clearly and in a way that helped see how all of the different tests fit together. I liked that it used examples extensively to illustrate problems and help you think them through. I'm going to keep this book for future reference and refreshing knowledge. Good explanation and practical examples. Just wish it could focus more on advanced research methodology. 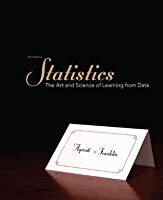 Very good book on statistics with a lot of examples. Descriptive and inferential statistic, but not much information on advanced statistics methods. I like it's real-world problems. especially Exit polling !! 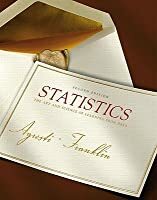 One of the best statistical textbooks, full of real life examples and exercises.